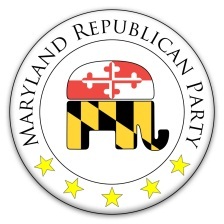 Tune in to a Red Maryland Network special as hosts Greg Kline and Brian Griffiths interview party leaders, candidates and elected officials at the Maryland Republican Party’s 2018 Fall Convention. Guests include, MDGOP Chairman Dirk Haire, 2016 2018 Congressional Nominee Amie Hoeber, Former Comptroller Nominee and Howard County Central Committee member Bill Campbell, TARS leader Ryan Gniadek, long time activist and former Delegate Don Murphy, and many, many more. We have a wide cross section of Maryland Republicans taking about the 2018 elections and the challenges the party faces in the future. Informative and fun this special is a must listen for any Maryland Republican or anyone who cares about where our state party is going in the years to come. Includes additional content not included in the Red Maryland live video feed of the event!